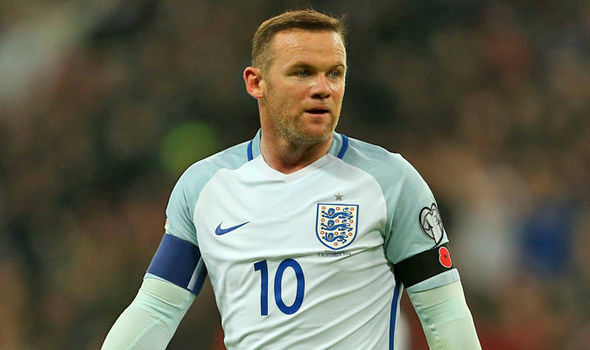 Wayne Rooney has missed out on England’s latest 2 World Cup qualification matches that they have played against Lithuania and Scotland which were played on March 26 and June 10 respectively. It has become pretty clear that the influence that Wayne Rooney has had in the England national side has diminished significantly in comparison to how it used to be some time ago. One of the reasons of why Rooney is not making such a big impact as years ago is due to the amount of rising stars that are significantly younger with the likes of: Harry Kane, Marcus Rashford, Alex Oxlade-Chamberlain, Raheem Sterling and Dele Alli just to name a few of the more well-known and highly rated youngsters who are considered to be as the next generation of players from the English national side. However, the main factor that has influenced in the downfall of Wayne Rooney at the international scene is that his club career has taken a dip. He made 25 appearances for Manchester United in the 2016-17 season of the Premier League which is actually a high amount of matches played but 15 of those arrived from the sidelines and he could only musted 5 goals. With the arrival of Jose Mourinho to Old Trafford, Wayne Rooney was dropped to the bench and now the 31 year old attacker decided to make a return to his youth club Everton and he is hoping to get consistent time in the first team and subsequently get a chance to return to the England national side and make consistent appearances. Rooney is hoping that he can start scoring on a consistent basis like he used to do a few years ago and make good enough appearances that can earn him a call up for matches at a regular basis for England.